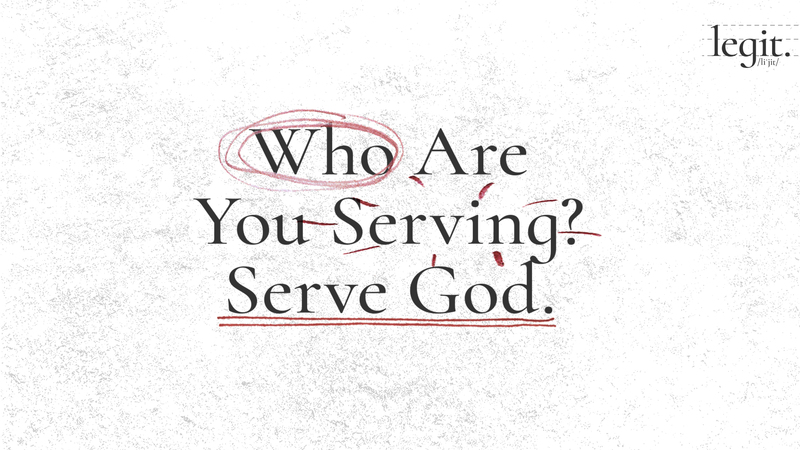 Who Are You Serving? Serve God. When something other than God becomes our master, it becomes an idol for us, things that we will always want more of. In his book “Counterfeit Gods”, Tim Keller reminds us that what we call as “psychological problems” like perfectionism, workaholism, or chronic indecisiveness are actually issues of idolatry.